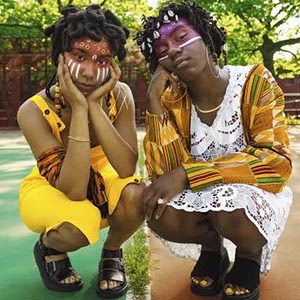 Since the release of their debut mixtape ASASE YAA in 2015, OSHUN has amassed a heavy social following, and they’ve been recognized by media heavy hitters such as Rolling Stone, The FADER, Viceland, Huffington Post, NPR, Essence, and Vogue (just to name a few). They’ve also performed throughout the U.S. and Brazil all while remaining full-time college students at NYU. It’s been a wonderful journey and now that these young goddesses have graduated college, they are transitioning into the next phase of manifesting their purpose. bittersweet vol. 1 is their debut album available now!